Virginia Flake Hoarders: This Is It! 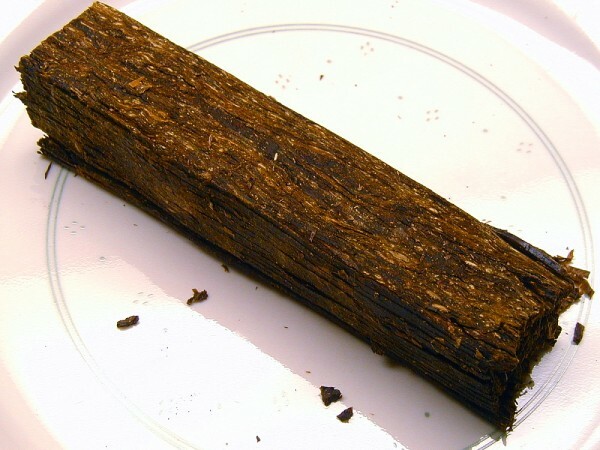 :: Pipe Tobacco Discussion :: Pipe Smokers Forums , allow me to introduce you. 507C is actually an Orlik product, made in Assens, Denmark from the same choice leaf found in their other flakes and blends. Lestrout was the first to recommend 507c to me several years ago, and I began squirreling away a pound here and pound there as I could afford to do so. Here's what the minions on TR have to say about it. Last summer, Smokingpipes had 507c on sale for $123/5# and I pushed the button, putting it up in half-pint jars. I thought that I'd never see pricing like that again, but lo and behold, P&C has it on sale (along with other Sutliff blends) and the price is still $123/5#. There's good pricing on lesser quantities as well. The only fly in the ointment is that it's backordered, but they will allow you to order it at the sale price. If you are motivated to hoard cellar some quality Virginia flake that will undoubtedly age well, then this might be the deal that you've been waiting for. How is a Sutliff/MacBaren product made by Orlik / STG? Thanks for sharing, I'll have to try that one out someday. For now I'm just cellaring my favorites. Do any comparisons come to mind? I would compare it to Dunhill flake (also made by Orlik), but it's really it's own thing. Some people tend to marginalize 507c because it wears the Sutliff moniker, but that's their mistake. How Orlik came to make this for Sutliff is unknown to me, but it probably dates back to when Altadis owned Sutliff and they didn't make flakes. Orlik produces flakes and plugs for several other companies, some of which might surprise you. Woodsroad, if this is the one I am thinking of, it even predated Altadis, and goes back to the Consolidated days. Used to come in a neat 5# box. 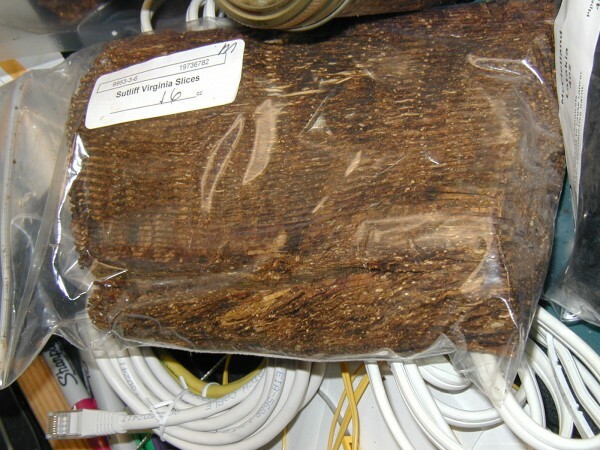 On the SPC site they describe it as, "A flue-cured Virginia flake with a light aromatic topping". Is it true it has an aromatic toping? If so, would you be so kind as to elaborate? Well, thanks; you make this sound really good. 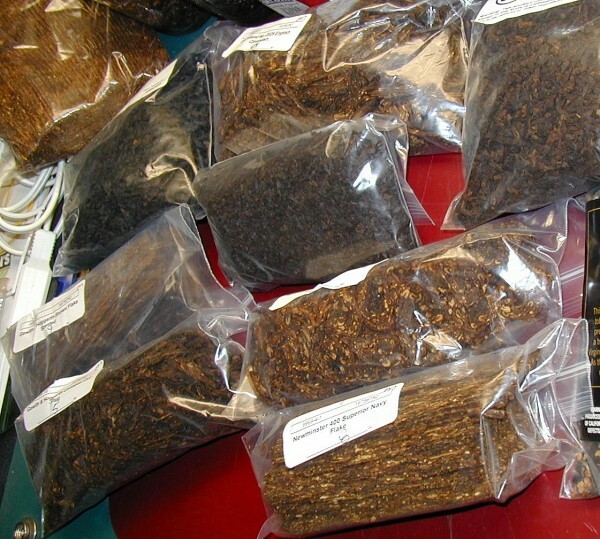 Kane, almost all pipe tobaccos have a flavoring added somewhere in their processing. 507c has something, but the tobacco dominates, to be sure. It's not an aromatic as we commonly use that description, by any stretch of the imagination. I'll stick my nose in a jar tomorrow if I get a chance, and compare it with some other flakes. I've been meaning to do a real comparison of all the various STG flakes, but that's a more serious task that will happen another day. Oldgeezer, thanks for the institutional memory! Just as long as it is not institutionalized memory, Woodsroad. Was always a quality product, several high end shops sold it as one of 'their' blends. Sutliff's Virginia Slices? I have tons of virginia on hand aging including lots of these slices, glade to hear someone bring them up, Woodroad! The stuff ages well and has a character of its own. Nice by itself, it also responds well to stoving, steaming, and baking. Only improves with age, very useful as a base virginia in blending with other things! And the price is as you say, very good. Thanks for the pix, toob. What the hell are you doing woodsroad? Now the hoarders are going to pile on and buy it, supply will drop, price will go up, chaos and anarchy! You've ruined a good thing! Seriously, good stuff! A member here posted a pic of his purchase a few years ago and it piqued my interest. Bought a sample and sold! I got my stash, leacha! The rest of you poor buggers can swing in the wind, pining for the fjords! I've got it on my list of stuff to try. I hope to get around to it sooner rather than later. Man, wouldn't that be the bomb if you could send smell through the internet? The stuff has a nice virginia smell as it comes but is neutral enough to permit blending or creativity in many different directions if you like! How does this flake compare with Newminster No.400 Superior Navy Flake? By the description they sound like very similar tobaccos. Would it be worth having a bit of both on hand? Now the hoarders are going to pile on and buy it, supply will drop, price will go up, chaos and anarchy! You've ruined a good thing! Wow, those pictures look divine. Another one added to the must try list. I have some jarred up. It's a nice, light VA flake. Might have a light citrus and molasses topping, but really, it's mostly just a straight up VA flake. Reminds me of some Samuel Gawith stuff. It comes in strips, longer than any flake I have ever seen. Had been wandering about that one. Just order five lbs from SPC. Would it be worth having a bit of both on hand? I do. I like to keep lots of all kinds of good basic tobaccos on hand. These are the building blocks of a thousand other blends! Here is a picture with some 400 at the bottom. I know, kinda hard to see in these small pictures. But you can never have too much virginia on hand and I feel variety is the spice of life. You're a champion for posting this Dan. I'm going to try this one. I'd need to try a side by side sample of Sutliff, newminster, OGS & ps lux twist / flake. A show down of the economical flakes. A year in a mason jar should help too. I suspect "economical" flakes, with some age, are as good as anything. I tried SG FVF for the first time the other day. I was blown away. I like Virginia flakes, I'll have to try the Sutliff stuff, but that FVF was amazing. Another view of tobacco economics: if people buy a ton of this stuff, the blend will be more likely to endure... if we are really canny, we will all buy at this price, then hoard through the price rise, and wait it out until it drops again, then replenish those caches, signaling that this is the appropriate market price to the manufacturer. Not bad for the price but I've never tried any that wasn't fresh and mostly use it in blending though decent on it's own, not sweet, a few years would do it good. Newminster Superior Navy Flake is great and only gets better, the Slices too. Newminster Navy and Orlik Golden tie for first in VA, if I want something light it's Orlik, or for something even lighter that's like pouring honey in your mouth it's Newminster. Agreed. I have certainly tried to do my part to stimulate the market and as said before, while some might smoke it fresh, and you certainly can, I mainly put this stuff away for the long haul for aging and blending purposes. Pipeman7, that’s s good recommendation! Good ratings for both on TR. Thanks for the heads up. How does it compare to Mixture 69? Thanks for the heads up Woodsroad. Peck, 69 can run pretty hot, but it’s best enjoyed fresh with a good whisky. I agree, 507c is great stuff. With the end of my relationship with Dunhill Flake looming, 507c is like the hot young blonde I just met at the bar. It makes the end a little easier.. 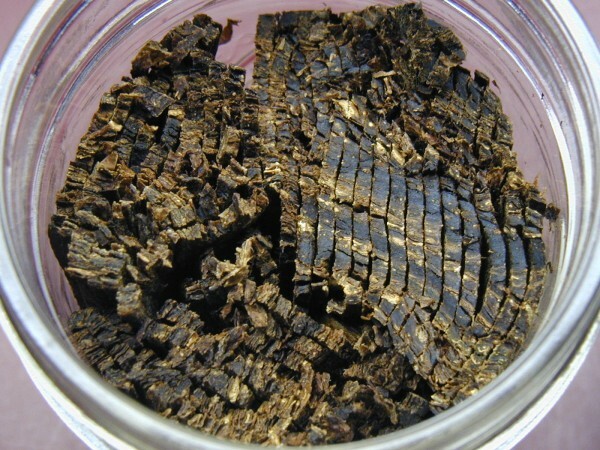 I puchased another 5 pounds after sampling my 1 1/2 old jar of this very good virginia. Is it the "best" viginia available, NO, is it a very good virginia, YES. Comparable to OGS, but less citrusy. This is a 20% off all Sutliff bulks sale that has been going on for maybe the past week. I Like 507-C quite a bit, but I have found it to have a less agreeable room note than, say, Luxury Navy Flake. Additionally, when I ordered 8 ounces of it a while back, it came in really messy condition-- I couldn't get separate flakes out of the bag, more like a broken flake. I've seen many youtube videos, etc. to tell me my experience was an anomaly, but if you're somebody who likes flakes to be very uniform and orderly, you may not get that with 507-C.
Hap, it sounds like you got the bottom of the bag. All of the 507c that I've ordered came as intact flakes. Dan, I wouldn't be surprised at all. Like I said, I'm almost certain mine was an anomaly, but it was messy as all get-out. I wound up just cramming wads of it into mason jars. I should note that it didn't sour me on this flake at all. I still smoke it fairly often, and always have my eye out for bulk sales so I can add more. A classic line, especially "pining for the fjords!" I'll just wait here, nailed to my perch.